A mystery photograph of my great uncle Gordon Dewey, staring into a bowl of cake mix. Found this unusual old photograph in a photo album – it’s been through some tough times, so I thought I better scan it before it gets any worse. The man in the photograph is my grandfather’s youngest brother, Gordon Dewey. Quite why he’s with three women staring into a large bowl of cake mix is a complete mystery. I think the photograph is possibly one taken by a newspaper photographer – due to the original’s size and paper – it being different from all other photos in the collection. 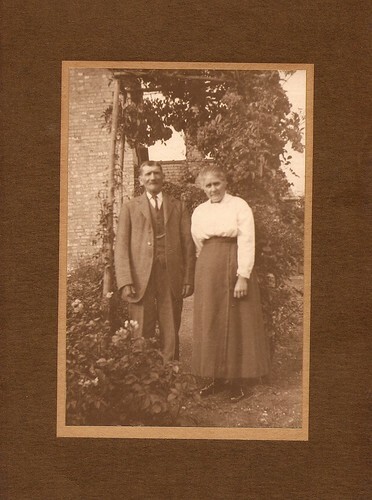 At a guess, the woman on the far left is his girlfriend, Maisie, who appears in a couple of other photographs and is someone that my grandmother remembers, but I have no record of her surname. Sadly, Gordon died aged 20 from a brain haemorrhage in November 1954. He never married, and he died without issue.